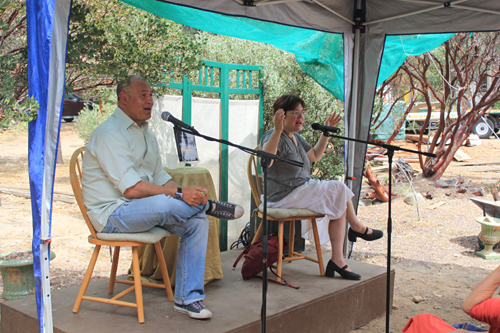 It was standing room only for the final author in the second year of Eduardo Santiago’s Idyllwild Authors Series. 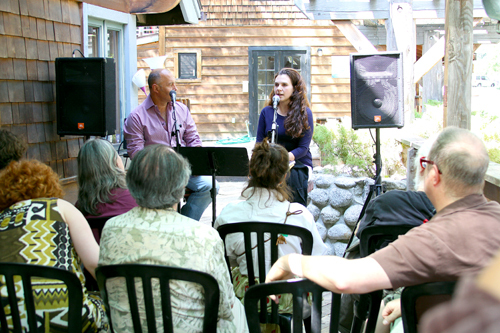 “We were scrambling trying to find chairs,” said Santiago of the attendance at Amy Wallace’s Sunday, July 22 appearance at INK Book Gathering. Wallace, daughter of Irving Wallace, and author of “The Sorcerer’s Apprentice: My Life with Carlos Castaneda,” was the last of 12 authors in a series Santiago designed to draw attention to and promote the business of Idyllwild’s only independent bookstore. “A town without a bookstore is a town without a soul,” said Santiago, who launched the series last year with no money, just a belief that the store (formerly B’s Mountain of Books) needed support and that an author series would bring attention and attendance. 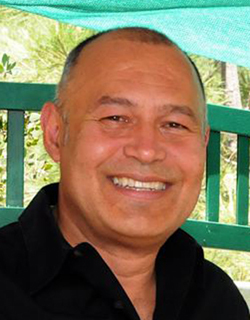 Santiago, at the beginning of each interview, takes time to thank key supporters that have helped fund the series (PEN Center USA), feed the authors (Café Aroma), house the authors (Strawberry Creek Inn), design ads (Pete and Betty Anderson) and provide a home for the series (Julie Johnson, INK owner). But in looking back over this year, it’s the audience to whom he is especially grateful.